While looking at the website for Sports Illustrated the other day, I came across an article from Tom Verducci where he listed nine teams that he thinks could make a surprise run at the playoffs this year. 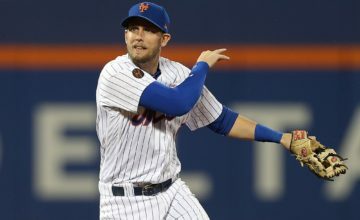 One of those nine teams just happens to be our favorite team, the New York Mets. He has a system where he tries to figure which teams that finished .500 the year before could make a turnaround in one year and make the playoffs. Last year he said that one or two of these teams, Toronto, Kansas City, Seattle, Cleveland, Boston, Minnesota, Pittsburgh and San Diego could make the playoffs in 2013. He ended up underselling himself as Cleveland, Pittsburgh and Boston all made the playoffs while Kansas City won 85 games and were in the hunt until the final week of the year. His system eliminated any team that lost 96 games or more a year ago because only four teams, the ’99 & ’11 Diamondbacks, ’08 Rays and ’98 Cubs have made the playoffs the year after losing that many games. That left him with nine teams that could make the leap from under .500 to into the playoffs in one year. 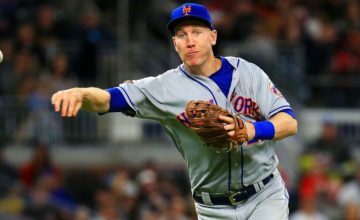 The Mets were ranked ninth out the nine teams he had with the Mariners the most likely in the AL and the Giants in the NL to make that surprise run. 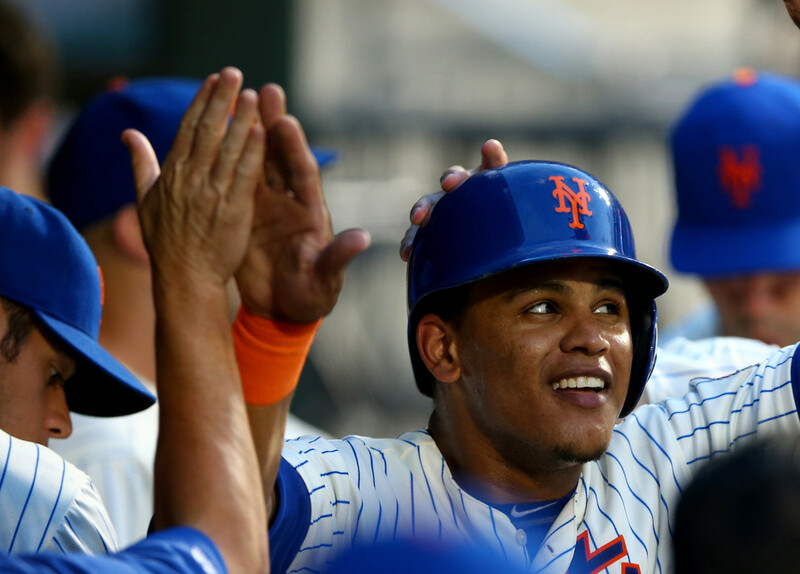 Do I think the Mets can be one of the teams that can make that kind of turnaround this season? But, I would not rule them out of the running for doing that next year, and I think would be at the top of the turnaround list. 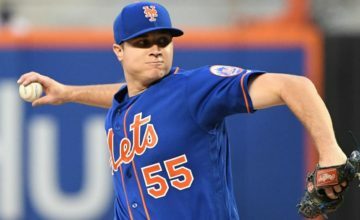 If Harvey comes back healthy and the other young pieces like Wheeler, d’Arnaud, Lagares, Syndergaard continue to progress and help out established vets like Wright and Granderson, things will look good for 2015. I know that this rebuilding process has been very frustrating and having to wait another year to finally get over the hump and get back to winning baseball adds to it. It was nice to know that a respected baseball writer thought that the Mets had the chops to make a turnaround this year. But, I think that unfortunately it is another case of everyone having to wait one more year before that becomes a legitimate proposition.